Andrew qualified from Liverpool in 1984 and joined the practice in 1991. He holds certificates in ophthalmology and small animal surgery. In his spare time, Andrew goes rock and ice climbing, cycling and has 2 cats at home. 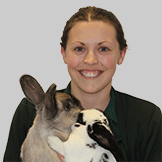 Rebecca qualified as a vet in London in 1996 and has an interest in rabbits, small furries and preventative health care. She has 4 dogs and 1 three-legged cat, acquired from Wellcat, our local rescue centre. Nicki joined the practice in 2015 and has been a fantastic asset to the practice. Wendy has been working at The Oaks for 22 years. 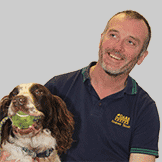 She has many years of experience in competition-standard dog obedience and agility and her partner, Gary, runs a dog training and agility group locally. Wendy is a fantastic source of advice for training advice and issues. 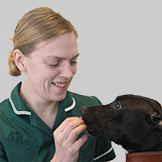 She does a marvellous job with our pet insurance claims, stock ordering and the nursing staff in general. Liz has worked at The Oaks since 1994. She owns a lurcher, a Labrador and a golden retriever. 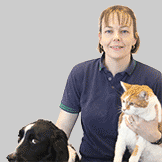 Liz fills in a lot of our pet insurance claims and is a fantastic kennel nurse. Her caring attitude and attention to detail ensure that all our patients receive fantastic care. 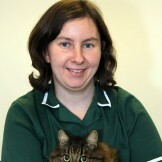 Emma is one of our main theatre nurses and is a thorough and very caring nurse, with a special interest in cats. She has 3 cats of her own and works part-time around caring for her young daughters. She has been at the practice for since 1997. 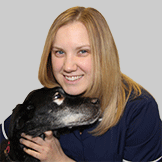 Stacey has been working as a vet nurse for over 12 years. 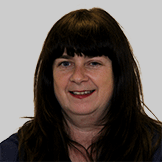 She runs our nurse clinics and is a lovely calm, kind nurse with an efficient manner. Stacey has 3 cats at home and recently got married. Maria and has been working at the practice for a number of years. She owns 3 cats and is a very hard worker, being a pivotal member of staff behind the scenes and helps to run our puppy parties. 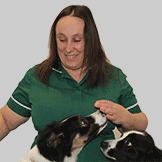 Vicky joined us recently after a break from vet nursing and is completing her retraining period. She has a varied social life away from work and is active with the church. 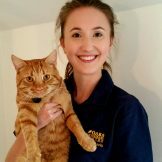 Kendra is in her second year of veterinary nurse training with us. She does not yet have her own pets, but is looking forward to qualifying at the end of the year and entering the Army. 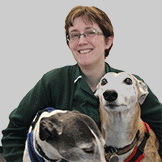 Clem is in her first year as a veterinary nursing student and has a Lakeland terrier at home. She also rides horses in her spare time. Michelle is our front of house expert and has been at The Oaks since she was 19. She tried working elsewhere, but soon returned to her true calling. She has a cat of her own and has 2 young daughters. Sandra has worked here for 10 years. She is an equine enthusiast and has a horse called Vibrant and a cat called Josie. Friendly and thorough, Sandra is happy to help at any time.